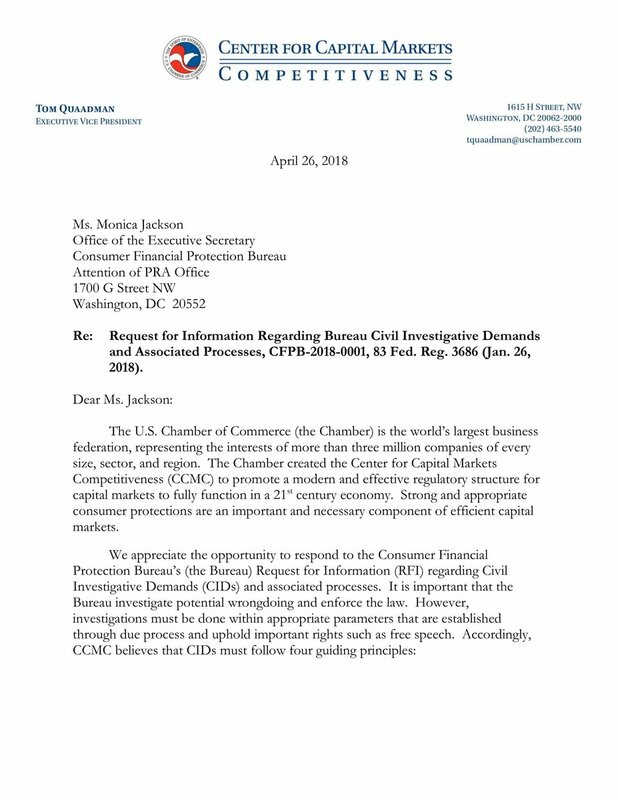 The U.S. Chamber of Commerce has and will continue to strongly support the Federal Reserve’s independence in setting monetary policy. Current debates to dictate monetary policy from Capitol Hill are not only dangerous and unnecessary, but also fail to recognize how political pressure in the 1970s led to stagflation. Over the past several years, the Federal Reserve has taken steps to give the public more insight into its monetary policy decisions after-the-fact, but some lawmakers are proposing to go much further by imposing front-end conditions, formulas or limitations on the Federal Reserve’s ability to manage the money supply. While it is appropriate that Congress has set the broad objectives of U.S. monetary policy—full employment and stable prices—managing these goals requires deep analytics and expertise, a long view, and flexibility, all of which argue for the Federal Reserve maintaining its unique independence in this area.